Posted by Maggie the Moggie. August 9th 2015. If your cat has shown or continues to show signs of aggression, this could be because of a wide variety of complex factors. 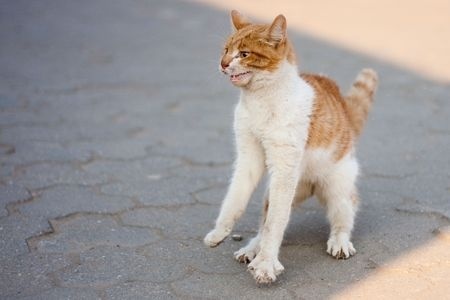 Aggressive behaviour can sometimes be a cry for help, especially in cats which are suffering from arthritis, tooth decay or other medical conditions. Whilst an aggressive cat can be a complicated problem to solve, there are physical cues which act as warning signs. As owners, it is essential for us to be able to ‘read’ our cats and recognise signs of aggression, before it develops into unwanted behaviour. What body language should we look out for? As with all unwanted behaviours, it is important to nip it in the bud at the earliest possible stage and before it becomes a continual habit. Never use physical punishment as a deterrent because even a tiny tap on the nose can make your cat more fearful and anxious, meaning they may become even more aggressive. Making behavioural and environmental changes should be the first step to stopping aggressive behaviour. Try to keep a record or mental note of when incidences arise and see if a pattern is occurring. 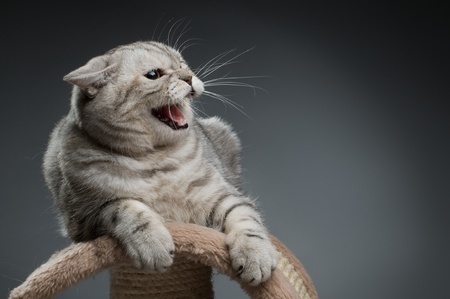 If there is, startling your cat before the aggressive behaviour happens can be an effective way to curb it. Try to avoid situations which can increase your cat’s aggression and place the emphasis on good behaviour by using food treats to reinforce it. If you have more than one cat and they are aggressive towards each other, separate them and then gradually re-introduce to one another. Kittens and young cats will bite and scratch during times of play, but to stop this becoming the norm you need to introduce games which can be played at a distance, so there is not an opportunity to do so. 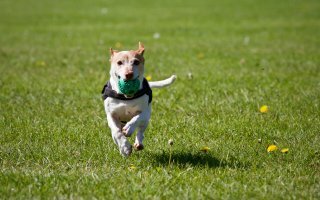 Balls, rope games and toys which deliver food when batted about are all good ways to introduce friendly play and make it a long-term behaviour.